Turns out if you score 5 goals and add an assist over 2 games, you get named UNB/Valley Graphics Male Athlete of the Week. 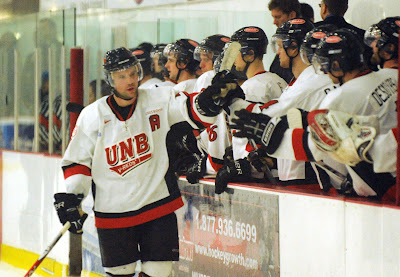 Hunter Tremblay's hat trick against STU and 2-goal effort the next night at UPEI were a big reason for UNB clinching 1st place in the AUS this past weekend. This is the 3rd time Tremblay has received this recognition this season. Click here for the UNB press release.